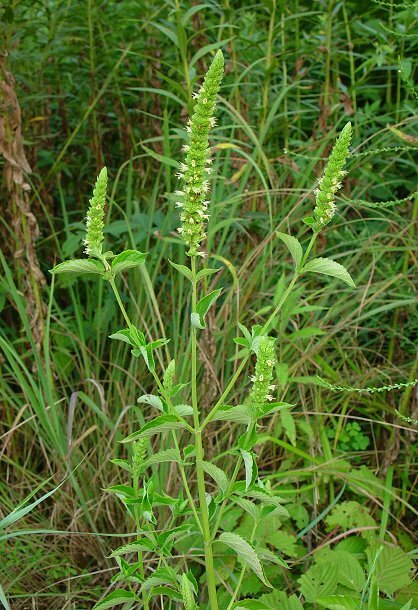 Agastache nepetoides. David G. Smith. Discoverlife.org.jpg (Accessed 7/2017). Agastache nepetoides is a perennial herb to 1.5 m tall; branched above, stem square, winged. Leaves opposite, egg-shaped, to 6 cm long, smaller above, margin toothed. 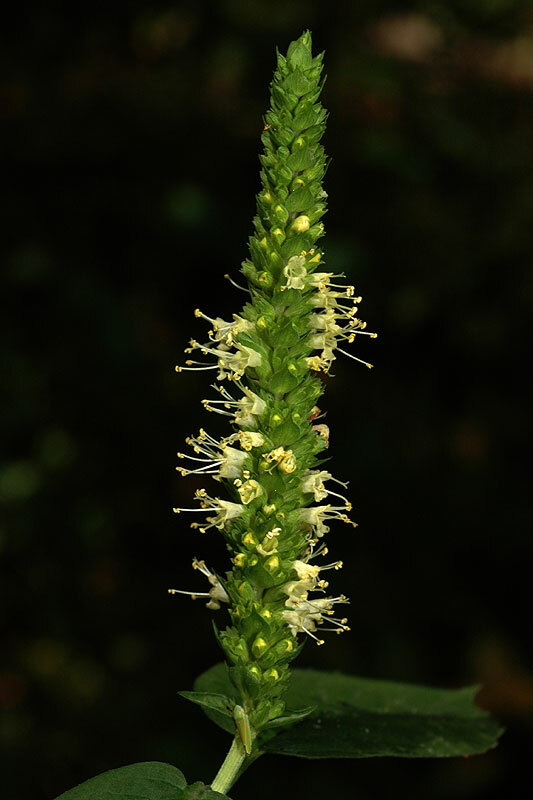 Flowers pale yellow-green, tubular, bilaterally symmetrical, calyx 0.6 cm, lobes egg-shaped, tips blunt; inflorescence terminal, of dense spikes to 20 cm long, 1cm wide; blooming and fruiting July-Sept.
Fruit dry, 1-seeded, (achenes) hairy at one end. Frequency in NYC: Rare (NYS S2S3, U). Habitat: Partial shade, edges of successional growth woodlands, weedy, somewhat disturbed areas. Populations seem to come and go with open sites created by disturbance (Gargiullo personal observation).